Why do some people play sport? And why do some simply not want to join in? Sport England has developed nineteen sporting segments to help us understand the nation's attitudes to sport, their motivations and barriers. For more detail on the development of these segments click here. 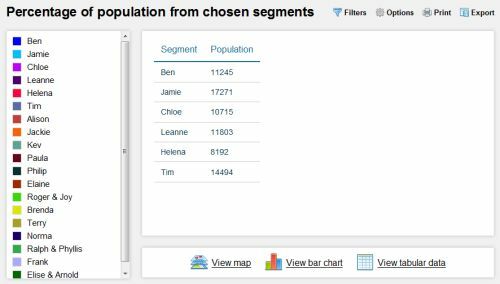 Maps of your area of interest with query results overlaid. 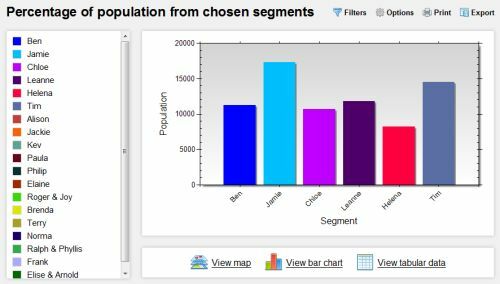 Bar charts showing results within chosen catchment areas. Tables containing the query results. Additionally you may download a tabulated export of the raw data in order to perform your own analysis and plots.